With DOOG, the marketing euros will not end in the banner, but go on to live a more meaningful life in supporting non-profit projects. 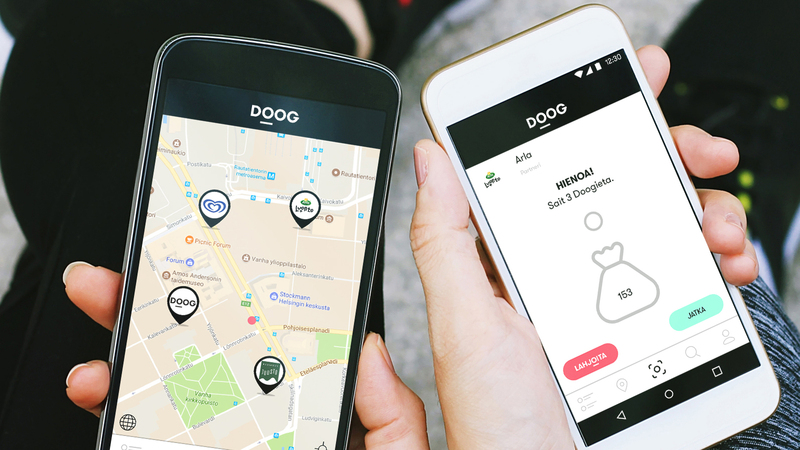 DOOG is like the Pokemon Go of doing good. Consumers can collect virtual do-good currency doogs from marketing material or consumer products brands, and donate them to the consumers’ favorite charities and causes. Impaktia Oy is the company behind DOOG that will collect the corresponding cause related marketing expense from brands and transfer them to charity organizations according to the consumers’ collective decision. DOOG is a service by Impaktia Oy, a newly founded company who have raised initial capital. The company was looking for a team who could help them design and develop the client end, backend and web interfaces. The service needed to be developed quickly during the summer 2017 for piloting and preferably delivered as an almost turn-key solution, with design development, testing, and publishing. In the development of DOOG’s concept, the team at Impaktia interviewed hundreds of people from marketing and charity sides. There was clearly a need for a modern cause related marketing tool where consumers are in the center. When we developed the demo version of DOOG and tested it in the market, we received overwhelmingly positive feedback. This encouraged both the team as well as investors to go ahead with the development of the product. Impaktia pondered the options of developing the product in-house or outsourcing. In the end they came to the conclusion that outsourcing will be the least risky and it also enables short time-to-market. Impaktia chose Make Helsink as their partner because we could offer them the full package: design, client end, backend, web interface and maintenance. Although being a relatively small team, Impaktia found that the team at Make Helsinki has quite good quality control and experience in similar projects. During the project, Impaktia valued the fact that we also showed real interest in making the product a success together with them. 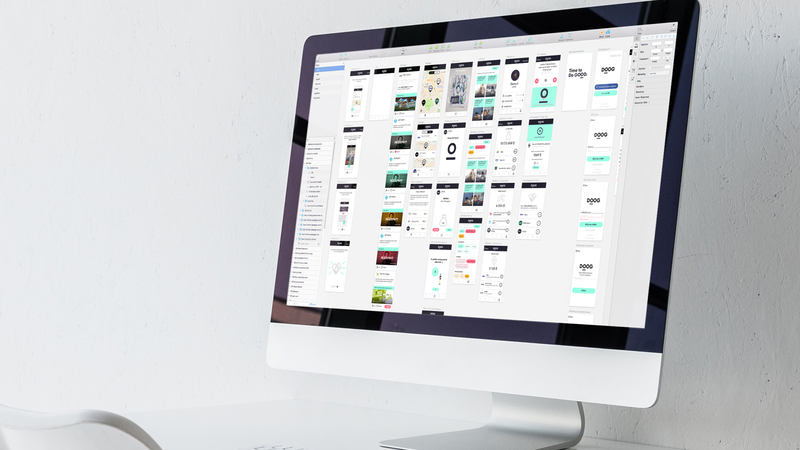 The project started with user experience design and user interface design. We have been developing the iPhone and Android apps (with React Native), as well as a high security backend (with Node.js). Moreover, we are continuing the work with all the web interfaces (with React) for charities and businesses. Make Helsinki are hosting the services, and taking care of the technical project management. The service was released for piloting in September in Finland. Brands have been very interested in the project and several big names are included in the public pilot including Vallila, Kesko, Ben&Jerry’s, Ingman, Gigantti, Starbucks and Stockmann, to mention a few. International expansion is envisioned for 2018.